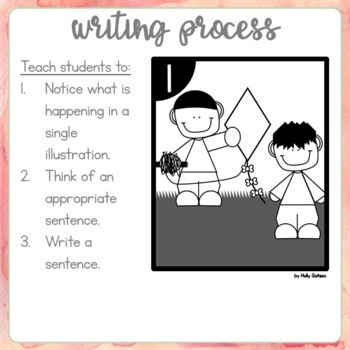 Narrative writing can be overwhelming for emergent writers. They have so much more than the story in their heads to focus on: letter formation, finger spaces, conventions, spelling, etc. 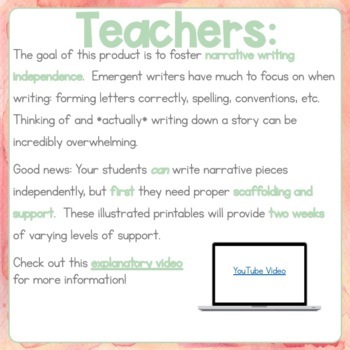 The goal of this product is to support students to narrative writing independence. These illustrated prompts are a means of scaffolding. 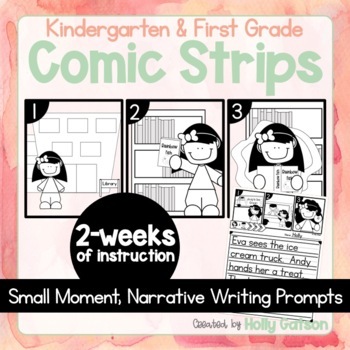 Ten prompts (2-weeks worth) come in 4 support options. Start with high support option and transition to independence.